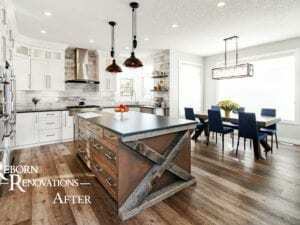 Reborn Renovations is an award-winning renovator that offers home renovations in Calgary, Okotoks and Airdrie. 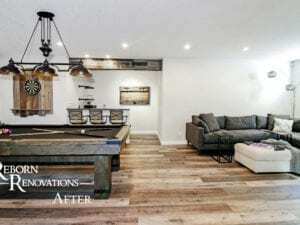 Reborn Renovations specializes in interior & exterior home renovation services. Reborn Renovations provides the highest level of service and top-quality workmanship for all your home renovation needs. Estimators, interior designers and project managers are provided to oversee contractors and ensure your complete home renovation and remodeling project runs as smoothly as possible while staying on budget. From inception to completion, every step of your home renovation must be planned and thought out. We take care to do each step properly, and firmly believe that if you are going to make the investment to renovate your home you deserve high quality construction that will endure for many years to come. Interior designers are supplied to ensure that all design and product components come together and work cohesively to form a beautiful space to live in that is not only visually exquisite, but also functions to your every need. Our designers are on top of the latest trends and will make your final outcome exactly what you have envisioned for your home renovation. Reborn’s designers can create 3D Models, scaled CAD floor plans and drawings of elevation and perspective views. This allows our clients to see the project the designer envisioned before construction commences. What type of Home Renovation can we help you with? Ready to get in touch with our award winning home renovation team? Call or email us today to get started with a free estimate. Curb appeal greatly enhances the value and aesthetics of your home. As the first impression for new visitors and potential buyers, a well-planned exterior renovation can completely transform your home. A well-built and maintained exterior shell provides important protection for your home against the harsh elements in our climate. When you are ready to begin planning your exterior renovation, a representative of our team will come and meet with you to better understand your requirements and the curb appeal you want to achieve. 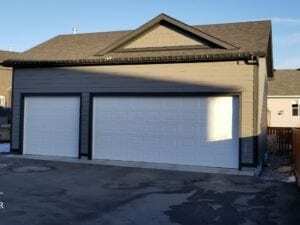 Reborn’s renovation contractors have the vast experience and product knowledge required for all home exterior renovations. We can provide design assistance that will allow you to achieve the curb appeal desired, while staying within your budget by choosing the right materials and design options. There are more selections than ever before when it comes to quality materials and they can be mixed and matched to create an attractive, one of a kind custom exterior. Most important, we utilize the most durable materials to combat the constant barrage of our unforgiving weather systems. By combining the best products with the best tradespeople, you can rest assured that your investment will be built to stand the test of time and the harshest elements. Reborn Renovations has a strong focus on customer service, recognizing that the best form of marketing is a referral from customers whose expectations have been met and exceeded. As renovating or remodeling can be challenging, we aim to alleviate as much of the stress as possible. Our project management team handles the entire renovation process from start to finish and supply weekly project updates to ensure a smooth transformation while staying on schedule. Reborn has won awards for our customer satisfaction and we encourage you to look at our reviews and referrals online. From the smallest of updates and repairs, to a complete home renovation, Reborn’s home renovation contractors deliver a top-notch finished product and experience. The home you have always wanted is only a call away. Contact us for a quote on a new kitchen, bathroom renovation, basement development, or to build the custom home of your dreams. When doing a home renovation with Reborn Renovations, from initial contact, design, planning, and execution of our contracts, we go above and beyond to make you feel comfortable. We want you to feel confident choosing Reborn as the contractors for your renovation. We are passionate about helping people in general, but specifically, about providing our clients with a positive experience and quality end product at a fair price. Our team of home renovation experts take all the little things into account when dealing with you and your family. Our fundamental goal is to provide our clients with a unique service experience by offering more than an estimate and completion of the work on time to a satisfactory level. Such practices as same day follow-ups on all inquiries, fast and solid estimates, comprehensive design/budget options to fit your exact needs, open lines of communication at all times, showing up and completing work on time, and effective problem solving when issues arise, are some of the quintessential elements that make Reborn Renovations an award-winning home renovation company. By combining extensive experience in building and renovating with perceptive and innovative ideas that are built custom to fit your exact needs, Reborn stands by its work 100% of the time, and we are confident your home renovation will exceed your expectations. Your project will be treated as if it were in our own home. Reborn goes to great lengths to ensure that all products used are of the best quality, our practices are safe, and our projects are constructed in accord with all building code standards. We offer various design options to our clients, always advocating those that will ensure the continued structural integrity and aesthetic longevity of every project, no matter what the size. After signing the contract, the first action is to create a detailed list of products to be ordered and materials to be picked up for the first stage of work. This allows us to maximize our timeline and ensure that all products are ordered right away and are physically in your possession as early as possible. As each stage nears its end, materials for the next stage are picked up to facilitate a clean and easy transition point from each stage to the next. In the event of any Change Orders, the product list is updated, signed off on, and reflected in the official Change Order document. All materials and products outlined in the contract and product sheet, are guaranteed to be the exact products used, and not a knock off or cheaper product, like many other companies do to squeeze some extra profits. Specifications on all work to be completed are guaranteed to be exactly what the client agreed to. There are some logistic and aesthetic on site decisions that need to be made at times when an issue arises, at which time we explain in detail, offer options, and act only after we are given the go ahead for any changes. Every sub-trade that partners with us goes through a screening process so we can assess their quality of work, level of service, customer satisfaction, ability to deal with problems, teamwork skills, pricing, communication, punctuality, and much more. Reborn Renovations holds a high standard of excellence and we go to great lengths to ensure that our vision replicated by everyone we bring on our sites. We require each new trade to show us their previous work, provide references, and demonstrate their commitment to our standards by signing a contract that covers all of our regulations in general and our custom service policy we create for your specific project. The benefit of this sub-trades policy is much more than providing assurance in knowing who is at your house and that they are capable of meeting our standards. By maintaining such a close and professional group of trades, all of our guys know and respect each other, help each other out, and work together as one to ensure fluidity in the renovation process. We watch for each other’s touch ups, and go the extra mile to make sure that at each stage work is done properly. All too often companies pick through a rolodex of random trades and try them out on new clients, resulting in poor craftsmanship, miscommunications, and other issues that lead to extra work needing to be done. With this being the status quo for most companies and tradesmen, there is often an extra cost added into each trade for dealing with other trades mistakes. For example, the drywaller needs to add backing from a bad framing job; the painter needing to do extra putty work from a bad drywall job; the carpenter having to sand paint off a cabinet hit by a painter, etc. 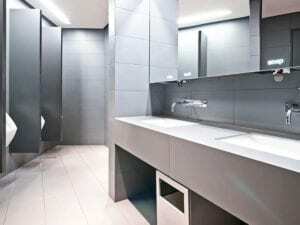 The contractors Reborn use for home renovations meet regularly to discuss problems they have seen over the years, and to make commitments to do their job to the fullest. The result is that extra costs are not added into the final price for worrying about someone not pulling their weight. The savings to our clients continue to be significant. These are just some of the reasons you should consider Reborn Renovations for your home renovation needs. Contact us today to have one of our experts meet with you and provide a detailed estimate to get started. Whether we are renovating a kitchen or re-facing kitchen cabinets, performing a bathroom renovation, or developing your basement – your “perfect for you” dream home is only a call away! 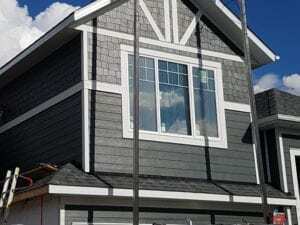 Ready to tackle your siding project? 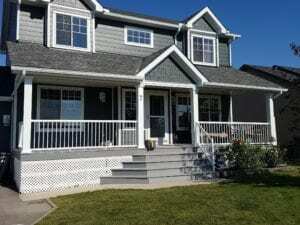 Our team members at Reborn Renovations are available to get you a free cost estimate on your siding installation. Inquire below and we will get in touch with you as soon as possible.